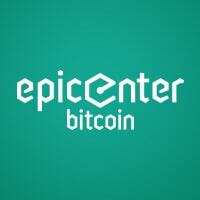 Epicenter Bitcoin changes the way users can learn more about Bitcoin. Founded in January 2014, Brian Fabian Crain and Sebastian Couture made possible an easy platform through which bitcoiners and potential adopters can gain more knowledge of how Bitcoin works and how it can positively contribute to the improvements of industries on a wide-scale level. Podcast is the way to go for Epicenter Bitcoin as it hosts weekly episodes that feature interviews with influential people that can share insights and innovations about Bitcoin technologies, projects, and global cryptocurrency awareness. Hour-long interviews are held, which will surely provide in-depth information regarding the latest Bitcoin trends. The two Bitcoin enthusiasts themselves show more signs of professionalism than being mere Bitcoin users. Enough research is made and is evident with the smooth-flowing interview filled with details. The guests are of high quality, thereby providing interesting insights from different perspectives that will definitely open the listener’s minds. Bitcoin beginners should not be intimidated by the interviews’ complexity. Yes, very detailed information is provided but is also simple enough for newcomers. The site currently houses more than 130 podcasts which can be accessed free of charge. That, we like. Oher platforms are available for access to the podcasts—through SoundCloud, iTunes, Stitcher, MixCloud, and RSS if it suits your preference better. 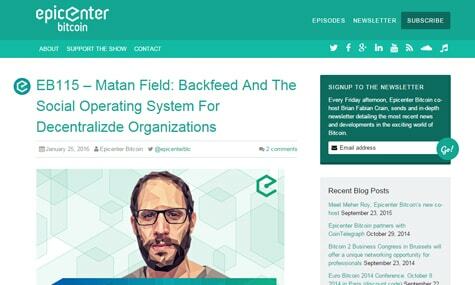 What makes Epicenter Bitcoin valuable? The production of the podcasts can see a bit more improvement with better recording devices and video quality for video podcasts. But considering that the site is young, it is not enough to be a deal-breaker. A lot of changes with the quality have happened between the first and the last production, so it is safe to say that more will come throughout Epicenter Bitcoin’s existence. Moreover, monthly subscriptions may be availed, mostly for show of support and improvement of operations. Subscriptions range from $5 to $100 a month. Payment methods are possible through cryptocurrencies like Dogecoin, Litecoin, and of course, Bitcoin. Fiat payments are also done through PayPal. Apart from the regular podcast updates—one of the hosts, Brian, sends out newsletters every Friday which viewers can be occupied with while waiting for the latest podcast release. The newsletters tackle timely developments that happen in the world of Bitcoin, convenient for those who want to be kept updated. The future looks promising for Epicenter Bitcoin. With help from experienced guests, nothing but fine words can be used to describe the quality of the cryptocurrency information they supply viewers. Thus, Bitcoin can be more significant with the help of these podcasts. We look forward to more interviews of high caliber from Brian and Sebastian.